Who needs a bath and a half if you can combine it into one bathroom. The His and Hers toilet mod. Interesting changes in the new Demedic toilet 320. The new ones do not come with a sprayer. The bowl is actually larger the the older ones. See below side by side pic. The water valve only had one screw holding it in, even though there are two places for screws. I posted about this 2 years ago. DRV installed the toilet incorrectly. There are washers that go between the toilet and the nut securing the toilet. DRV had them between the flange and the toilet. "The family that sits together...s**ts together"...now that's true love!! "I'll show you mine if you'll show me yours". And on Valentine's Day: no less! What do you talk about; while you're both in there? Dueling sprayers! Now there's some kink! I did not even think that I posted that up on Valentine’s Day. It makes it even more special. The only thing better would be to mount them at the foot of the bed...just roll on over when "the job" is done! "Interesting changes in the new Demedic toilet 320. The bowl is actually larger the the older ones. See below side by side pic." 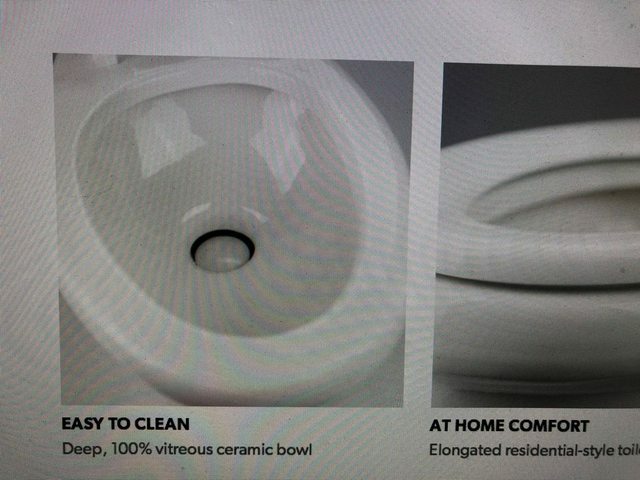 Looking at the Dometic web site they show the same bowl opening as before. 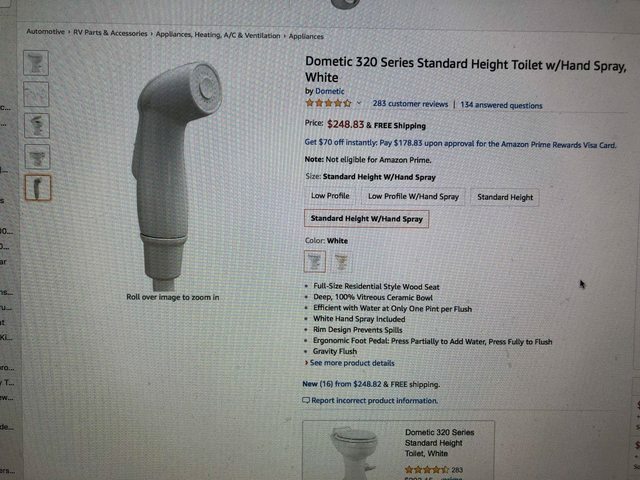 AMAZON and others still sell the 320 with and without the sprayer. Where did you see the new design and mention of no longer having a sprayer? The one camping worlds sells does not have a sprayer. The picture you see is a size by side shot of a 320 just bought at Campingworld and the one that came with the rig. I see a HUGE difference in size of the bowl. The old one can just be transferred. I think I’ll just stick with my bath and a half. I am inclined to use this layout if I were doing a conversion . It will probably never happen but this layout could be the center piece of a great rear bath. But if you have a co-pilot in there with you: that will cause a loud discussion with fists!